When your air conditioning fails, you know there’s not a moment to waste in getting the professional AC repair Windermere trusts provided by DC / AC Air Conditioning and Heating, out to your home or business right away. It gets hot in Windermere and in all of the Orlando area. Part of the reason you love living here is the nearly constant sunshine, but along with that you can also experience excessive heat and humidity. Being able to go into a cool and refreshing atmosphere quickly becomes a necessity. Getting your air conditioning fixed when it malfunctions is important, but it’s also just as important to keep up with the AC service Windermere needs to keep your system working at its optimum performance. Sometimes a bit of precautionary care can help to keep the air conditioning from malfunctioning in the first place. 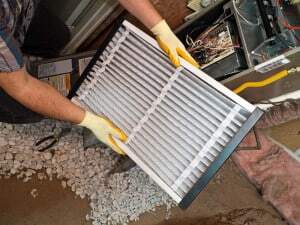 You can count on your professional technician to change your filter, examine all parts and components, and let you know exactly what needs to be done to restore your air conditioning to top working order. When air conditioning is malfunctioning or it’s producing less than desirable results, the lack of properly working AC can quickly become detrimental to people’s health. 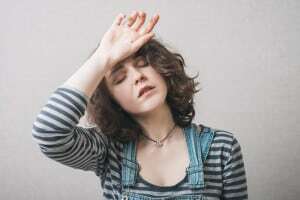 When people are overheated, it can lead to sweating too much which can cause dehydration, inability to focus on tasks, and feelings of lethargy and tiredness. People may also notice that breathing is more difficult. For the elderly, small children and anyone with chronic health issues, the effects are not only uncomfortable, they can become dangerous. 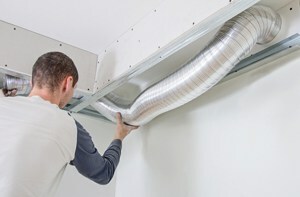 Excellent and reliable AC repair is a must for all of our friends and neighbors in Windermere. The residential and commercial AC repair in Windermere FL that folks rely on is supplied by experts from DC / AC Air Conditioning and Heating. Did you know that having well-working air conditioning may also help lessen the allergy triggers in your home? Insects and parasites can have a harder time multiplying and becoming a problem in cooler temperatures. 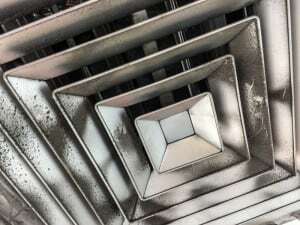 Having a well-filtered and properly working air conditioning system can also help to remove pollen, bacteria and dust from your indoor air, facilitating better breathing and fewer allergy symptoms. All of this, along with simply being cooler and more comfortable comes from air conditioning that is working in first-rate condition! DC / AC Air Conditioning and Heating makes sure that the AC repair costs Windermere residents and businesses are charged with for expert service and repair are budget friendly and reasonable. The Residential AC repair Windermere FL residents and business AC repair that businesses depend on is delivered by experienced technicians. We have a dedication to providing service with honesty, professionalism, integrity and a passion for excellent service. DC / AC Air and Heat is also proud to have been named as a winner among the Orlando Sentinel Best Bets in 2017 for Best AC Company. Every technician we have working for us is licensed, bonded, insured and fully authorized in Florida and by the EPA to service any type of air conditioning unit. Whether you’re having a quick recharge of your refrigerant or more extensive AC work done, you can depend on the experts from DC / AC Air Conditioning and Heating for the highest quality service. We’ve worked diligently to earn your trust and to earn accolades from satisfied customers and from our peers. You’ll know from the moment you call the experts from DC / AC Air and Heat that you’ll receive top-notch service and a level of service and repairs that you’ll be proud to recommend to your family, friends and neighbors. We’re your neighbors and we’ve been providing exceptional service to Windermere and surrounding Orlando areas for over 25 years. 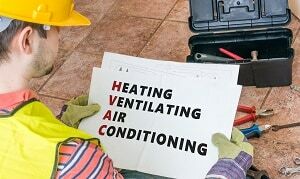 A company does not stay in business that long without delivering exceptional air conditioning service and giving our customers the utmost in trusted AC repairs to be found in the area. In some parts of the country, people may be able to get through a summer with no air conditioning. Air conditioning in Windermere, Florida is a necessity, however. It’s especially critical for elderly people, people with medical conditions and for every person who wants and needs to stay cool through our sometimes intensely hot spells. It’s also the perfect way to remove excessive humidity that can make breathing difficult. AC repair in Windermere Florida is also an absolute necessity to keep your air conditioning system in prime operating condition. In some cases, Windermere air conditioning repair is one of the most important services residents and businesses will rely on for better health and superior comfort. Once you find an excellent air conditioning service and repair company like the experts from DC / AC Air and Heat, you’ll want to keep the number handy. DC / AC Air Conditioning and Heating has worked diligently to attain an A+ Better Business Bureau rating, and we value and safeguard that rating by continuing to provide excellent service to the residents and businesses of Windermere. For over 25 years, we’ve been the AC repair Windermere has trusted for exceptional service. We proudly continue that reputation for excellence by striving for 100 percent customer satisfaction every time. You’ll love the fact that we hire only the best technicians to supply the AC service Windermere needs and professionals who share our vision of exceptional service, provided quickly and efficiently. Our hope is that you love our service enough to recommend us to your family, friends and co-workers in and around Windermere. This is the highest compliment we could think of to receive, and we would be honored and humbled to receive it.